(Advertorial) At the park with kids, on the beach with friends or a keen adventurer enjoying a day out, TALKABOUT walkie-talkies from Motorola Solutions are a great way to keep in touch. 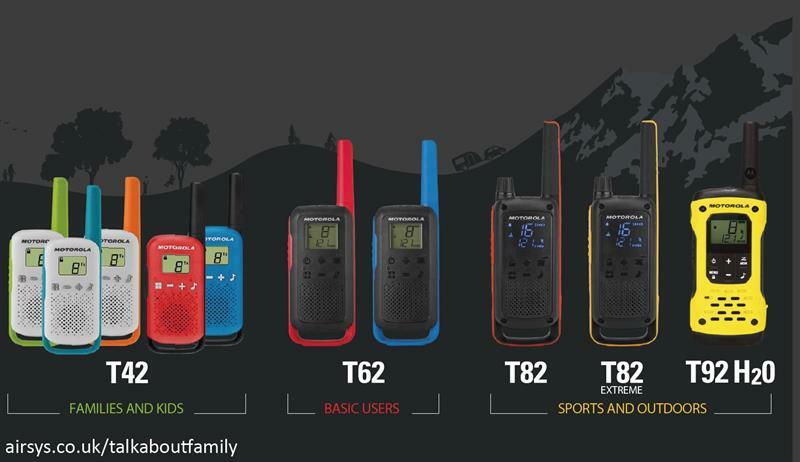 With Easy Pairing and 16 licence-free channels, these walkie-talkies are the ultimate gadget for your customers who are serious about style and simple communication. Talkabout walkie-talkies deliver dependable, instant communications hands-free or at the touch of a button allowing users to live, enjoy and conquer every moment. Pair and go. With simple, one-touch functionality, Easy Pairing lets the user programme all of their radios to the same channel and code simultaneously to spend less time preparing, and more time exploring. Loud, clear and instant, Push-to-talk (PTT) functionality means calling is quick and easy. No waiting for dial tones or for calls to connect, just press the button and talk. Talkabout radios utilise PMR446 frequencies for easy, cost effective operations with no subscription or call charges. Talkabout radios are also compatible with any other radio operating on the same PMR446 frequencies. More channels gives more choice and reduced interference from other radio users so messages can get through first time. Founded in 1928, Motorola Solutions has a history of more than 90 years innovation and has revolutionised communications by connecting people through technology. Public safety and commercial organisations around the world turn to Motorola Solutions when they want their teams to have the information they need throughout their workdays and in the moments that matter most to them. Working with a global network of channel partners, Motorola Solutions reaches an extensive customer base, from individuals and small businesses to Fortune 500 companies. The focus is on developing integrated end-to-end solutions that deliver a clear return on investment, and products that empower individuals through seamless connectivity. Airsys, the UK’s number one distributor for Motorola Solutions, has the stock and capacity to deliver the TALKABOUT family when you need it most. We pride ourselves on our large and comprehensive inventory of Motorola Solutions products, so there's always a significant amount of stock available for you to order, and with Airsys’ e-commerce platform you can order at ease for next day delivery. Our fully integrated e-commerce platform has been designed for registered resellers to easily search and purchase products. The system is designed to make ordering easy, with powerful functionality including real time stock numbers, transfer of carts between users and individual customer pricing. Unlock the power of your walkie-talkies with convenient power, carry and audio accessories.